Did you know your leaf blower isn’t just good for pushing leaves around? Do you keep your blower out and running year round? Most people don’t – but they should. Keep on reading the rest of this post and we’ll share with you some of its clever functions. Cleaning gutters are something most people hate to do but are necessary to avoid expenses down the road. You need to clean them at least once a year to avoid trouble. The gutter is an important part of your home as it ensures the smooth flow of rainwater. If it is clogged, it can weaken the structure and can even be a cause of flooding. It can result in leaks that can damage the interior of your home. In the end, you will suffer from costly repairs if you do not have your gutter well-maintained. One of the best ways to clean the gutter is to make use of a leaf blower. You do not have to manually hold dirt and gunk clogging your gutter. All that you need is a stable ladder and a leaf vac, which will effectively get rid of leaves, sticks, and debris that can cause gutter problems. The video above is about as-worst case a scenario as you will see for a gutter – it had 2 fall seasons worth of debris contained within the gutter. Most leaf vacs are used in fall as their primary function is to take off leaves that are scattered on the surface. Come winter, your leaf sweeper can also function as a snow blower. There are many instances wherein you will have the need to remove snow before it becomes too thick to be dealt with. You can use it for removing snow that has accumulated on the roof, car, driveway, patio, or in any other place where it can be a nuisance if it is not removed the soonest. Take note, however, that a leaf blower can double only as a snow blower when the snow is powdery and thin. If it is too thick and wet, you will be better off just shoveling or using a real snow blower. However, it’s a great time-saver when you just get a light dusting but want to clean off your walk and driveway. Fire up your best battery-powered leaf blower and get to work! After washing your car, one of the most exhausting tasks is drying your ride. It can be easy if the sun is out – the longer you take, the more work the sun does. If it is cloudy and gloomy out, a leaf blower can ride to the rescue. 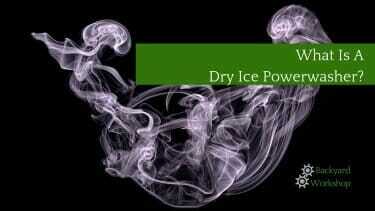 This is an easy and quick way to dry water. It works like the industrial blowers that you can see in a local car wash. It will help to protect the paint and to make sure that there will be no water spots. Gone are the days where you have to use a towel to manually wipe your car. A leaf blower will also be handy when cleaning the interior of your car. It will work pretty much like a hand-held car vacuum. The key here is to blow the dirt in one direction. If not, dust will just end up going back in the car. If you have a particularly-powerful leaf blower, do remember to test out drying on lower power and work your way up the scale. Your paint job should be able to handle most anything your blower dishes out, but it’s better to be safe than sorry while learning. A dryer filled with lint or dirt can pose safety risks. Nearly 3000 home fires are started by dryer issues in the US alone each year. Along with your families safety, clogged vents lead to energy inefficiency. Lint clogging the dryer causes the appliance to work harder. A quick once-over with leaf blower will help to improve the efficiency of the dryer. All that you have to do is to place the blower on the vent, turn it on, and let it do the job. It will blow any dirt that has been stuck on the vents. Up the power setting if the dirt remains stuck. You need to be careful that you don’t damage the dryer vent tubing, but that’s not difficult to do if you are paying attention. Also make sure that there is no one on the other side of the vent. As you can see in this video, dirt and dust will be blown out the vent and into anyone standing nearby! Whether inside or outside the house, spider webs can be a serious problem. Webs are common in the exterior of houses, especially near the roof. The problem becomes worse when there is light outside like a front porch. The light can attract spiders and make the place a breeding ground. If they are not removed quickly, webs can accumulate. They cling to almost any surface and can end up making your house look like it’s haunted. We moved to a house near a lake and this year I had to blow down the webs every other day to keep up with the German-like work-ethic of our neighborhood spiders. A lot of people may remove the spider webs by hand. However, this can be tiring, especially if you have a large house. A leaf blower will solve your problem. Carefully plan the direction where you will blow the web so that it won’t end up being anywhere near you or your helpers. Keep the blower pointed upwards towards a single direction. Once you’ve knocked down the biggest webs, you might have to go over the remains with a cloth. Believe me, a leaf blower will save you hours of time over the course of a summer battling those arachnids. Finally, here is one uncommon way to use a leaf blower that can come handy when the need arises. If you ever have to thread a wire in a long pipe, you do not have to push it manually. Doing this can be difficult, especially if you have a soft wire. To make things easier, all that you have to do is to attach a foam or cork at the end of the wire. Insert it on one end of the pipe. Turn on the leaf blower and it will push the wire all the way to the other end. Make sure that the foam or cork is properly attached so that it won’t loosen. Go to the other end of the pipe and pull out the wire. I’ve done this with Cat 5e wiring, and I’ve heard of it being used for fiber-optic cabling – though I’ve never done that myself.